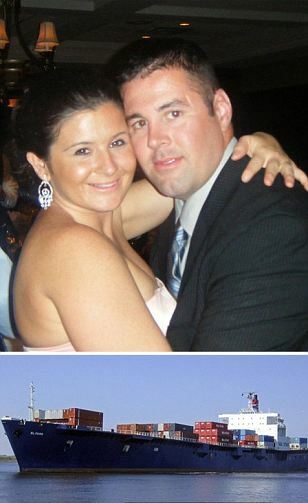 Katie Griffin, the pregnant wife of missing American sailor Keith Griffin, 33, says she is ‘devastated’ after learning that the cargo ship El Faro, where her husband of two years and the father of their unborn twins was serving, is believed to have sunk off the Bahamas during Hurricane Joaquin. The boat had 33 crewmen on board, among them 28 Americans. The news emerged Monday after search aircraft and ships found evidence of the sinking that included a human body floating in a survival suit, an empty lifeboat and what appeared to be pieces of container. Next Can you Spot the Sheep?